Granted, when I first went to the United States, Boston wasn’t the first city on my mind. I wanted to visit New York, Los Angeles, go to the Gran Canyon and other places I had seen in movies and read about a lot. 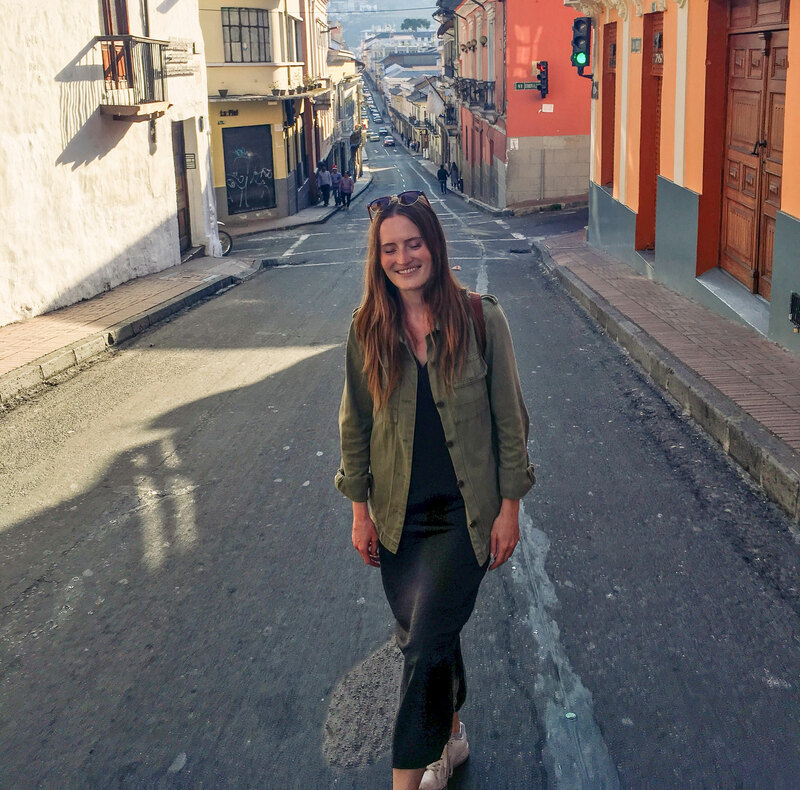 It is not until I moved to Ecuador that the historical city called my attention. I took advantage of visiting some friends up north this month to make a stop in Boston… and it exceeded all of my expectations! From walking on the footsteps of American revolutionaries to getting wet on the Charles River, here are some of the best things to do in Boston. Known as the birthplace of the American revolution, important events that eventually led to the American independence took place in Boston’s streets. The Freedom Trail is a 4 km route marked by red bricks that will take you through some of the most significant sites to the American history. From the Old South Meeting House to the Old State House, where the Declaration of Independence was read for the fist time in 1776, wandering the historical streets was one of my favorite things to do in Boston. The trail starts in Boston Common and ends at the USS Constitution (Read more: Footsteps to Independence: A Guide to Walking the Freedom Trail). Beacon Hill… I left my heart in Beacon Hill. If there’s one place in Boston I wouldn’t mind going back to everyday, that would be it. Its cobblestone streets and red brick houses reminded me of England, although the neighborhood really has a charm of its own. With antique stores, small boutiques and cozy coffee houses at every corner, it is a great area to put down your map and let your curiosity guide you. Just make sure that it will eventually take you to Acorn street, Boston’s oldest street. Fun fact: Boston Common is actually the oldest park in the United States and the perfect place to enjoy a cold coffee on a hot day, go for a run or hang out with friends. Once there, don’t miss out on the Boston Public Garden right across the street, where you can take a swan boat on the lake or just enjoy the view over the city skyline. Ideally located next to the Back Bay neighborhood and Beacon Hill, it’s also a good starting point to explore the city. I have this theory that every city looks best from the river and kayaking on the Charles River confirmed it! If you’re visiting in the summer and are looking to do something a bit different, I would highly recommend renting a kayak and paddle away on the river. We decided to go with Charles River Canoe and Kayaking setting off from Kendal Square in Cambridge. Bonus: They provide waterproof bags to keep your belongings safe. 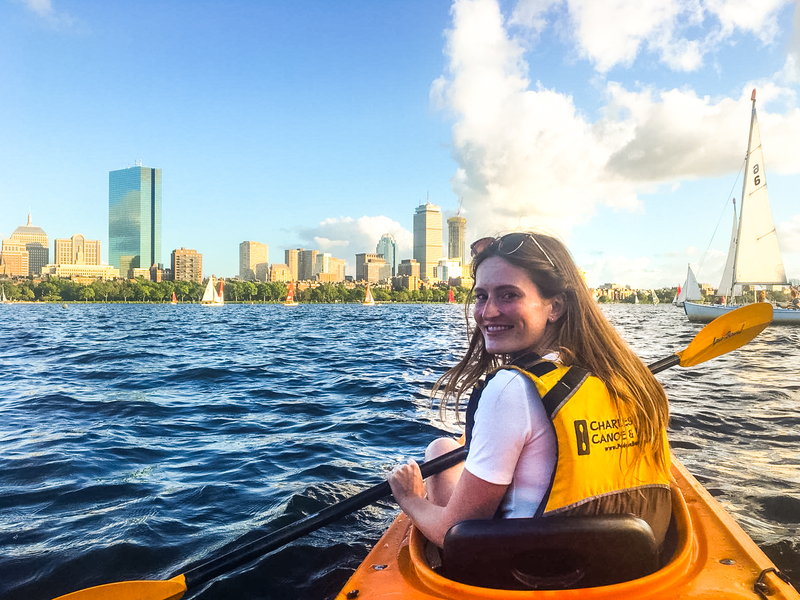 Kayaking was one of the highlights of my trip and is in my opinion one of the best things to do in Boston (weather permitting)! If you like reading, you’re in the right place. Home to some of the world’s best universities, it’s no surprise that Boston also has its fair share of great bookstores. My friends took me to a places including Rodney’s Bookstore, Seven Stars and Harvard Bookstore. The first two are located near the Central train station in Cambridge, on the main shopping street. At Rodney’s Bookstore, most of the books are discounted and classical literature books share shelves with odd reads. Seven Stars is located only a few steps away. It has not only the latest popular reads in fiction and non-fiction but also an impressive selection of stones and books about astrology. Last but not least, Harvard Bookstore stands right on Harvard Square and is a cosy place to flick through books although it gets pretty crowded. Don’t miss out on the used books section downstairs. Now that you know my love for bodies of water, you won’t be surprised that the Boston Harbor walk is a must do for me. Showing a different perspective of Boston, the Harbor Walk is about 70km long and connects Boston’s waterfront neighborhoods. Now you obviously don’t have to walk the whole trail but I would suggest doing at least the part Downtown for the city views and the Seaport to see the Boston Tea Party ships. Located right next to Copley Square, in the heart of the Back Bay neighborhood, the Boston Public Library is worth a visit for its architecture and hidden courtyard. Sit down and read a book inside or go to the garden on a sunny day to enjoy a coffee in this little haven in the city center. When you feel like it’s time to get going, head back to the public garden or hit the shops on Newbury street. Boston really was one of my favorite cities that I visited during this trip. A lot of it is due to the fact that it is a very walkable city. Since I love exploring cities by foot, let’s say it was a perfect match. Please let me know in the comments section which activities you would love to do in Boston and what was your favorite part about the city if you’ve already been! If you like history, you’re in for a treat ☺️ Boston is an overall beautiful city but I’m sure it’s even more pretty in Autumn with the orange/red leaves against the red bricks! Boston looks like such a great place! I’m planning a New England road trip next year and I can’t wait to visit. MIT??? Boston…. Land of the intellectuals ❤️❤️ dream place really… Your words and pictures literally put me there. Great work. Kayaking on the Charles River sounds interesting to me. You’re right, the city view from the river is really fantastic. Love any boat riding!! Isn’t it?! If you’re interested in American History, I encourage you to read my latest article all about the Freedom Trail! Never been to Boston, but I’d love to try the activities you’ve listed here. I hope to do them when the weather is fine, warm and sunny!